The greatest subjects children can learn aren’t graded. Those lessons are in a strong character and moral values yet we seldom receive any instruction. 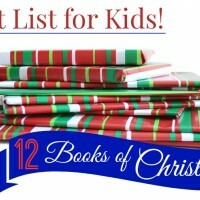 Here are some of the best gifts to help you introduce those great lessons and build character in your children. Use these gifts as tools to teach common values like; respect, determination, patience, empathy and more. 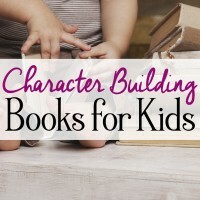 However, only through real-life experiences will children begin to internalize good character. The list of unique gifts below contain affiliate links. Thank you for supporting True Aim! For more information read my full disclosure. These engaging stories with valuable truths inspire readers to a higher standard of virtuous living. 1. The Children’s Bible (Ages 4+) – A family favorite with realistic pictures and an accurate account of the most important stories from the Old and New testament. 2. Pilgrim’s Progress (Ages 8+) – One of the popular books of all time, this is a tale of a dangerous journey. It is an allegory for the journey that every Christian must take. 3. The Golden Treasury of Bible Wisdom (Ages 12+) – This is a collection of topical bible verses and commentary on each. It addresses important topics like faith, family, giving, peace and more. 4. Aesop’s Fables (Ages 5+) – More than sixty classic tales like the Boy Who Cried Wolf and the Tortoise and the Hare, that teach valuable lessons. 5. Help Me Be Good Series (Ages 2-5) – These short stories had a big impact on me when I was little. They illustrate in simple terms behaviors that children need to avoid and why. 6. A Christmas Carol (Ages 5+) – This Christmas story is all about compassion and what real riches are. 7. The Chronicles of Narnia (Ages 6+) – A mystical land that teaches valuable lessons. 8. Bedtime Bible Promises (Ages 0-5) – A board book with sweet illustrations and rhyming explanations of scripture verses. 9. 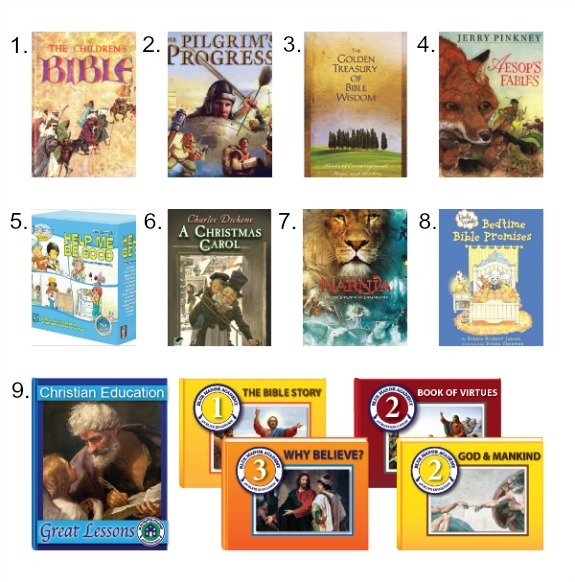 Blue Manor Kid’s Bible Book Set (Ages 2+) – Filled with 5 eBooks that help teach your children the most important lessons in the Bible. Memory verses and activities included! These movies set themselves apart from other shows by the great life lessons they teach and the values that they inspire. They encourage family unity, righteous living and compassion for others. 1. Animated Bible Series (Ages 3+) – These powerful, accurate and realistic Bible stories aren’t just for children. 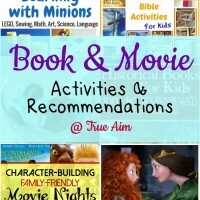 The 30 minute movies each come with a downloadable activity book. 2. 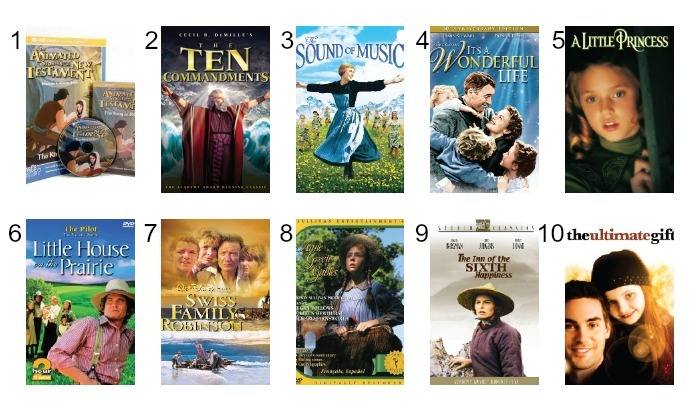 The 10 Commandments (Ages 6+) – Timeless and enthralling, this is one of those movies you can watch over and over again! 3. The Sound of Music (Ages 3+) – The story of a woman’s determination, the joy of children, and bravery. 4. It’s a Wonderful Life (Ages 6+) – What can a small act of kindness do for someone? Take a journey through a man’s life and see how those small things make a big difference! 5. A Little Princess (Ages 4+) – A kind heart is what makes a girl a princess, that’s what your little girls will learn in this magical story. 6. Little House on the Prairie (Ages 3+) – Hard work, courage, and family values; this is the movie that kicks off the whole series and it shouldn’t be missed! 7. Swiss Family Robinson (Ages 7+) – The Robinson family is shipwrecked on a remote island and must work together to survive. 8. Anne of Green Gables (Ages 6+) – The classic tale of an orphan trying to find her place in the world. She learns humility, manners, and what true friendship is. 9. The Inn of the Sixth Happiness (Ages 8+) – Based on a true story where a woman so passionate for spreading the gospel to China, she gives and risks everything to make a difference. 10. The Ultimate Gift (Ages 13+) – A selfish young man learns what’s really important in life and changes his character for the better. 1. Outburst! Bible Edition (Ages 8+) – A fun way to remember/review Bible facts and help you navigate your Bible. 2. 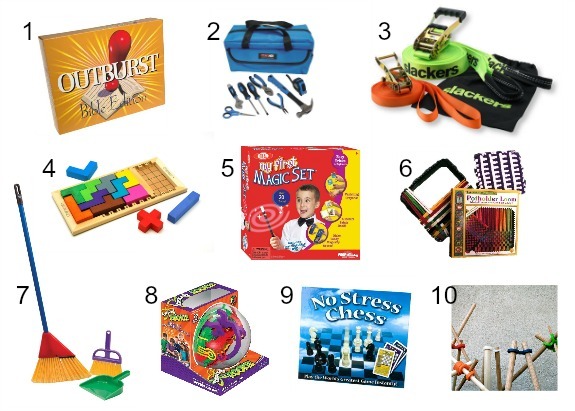 Real Tool Set (Ages 5+) – Teach your children a valuable skill and they will flourish with the responsibility and work. 3. Slackline Classic Set (Ages 7+) – Get outside and practice balance, courage, and determination! 4. Katamino (Ages 3+) – A brain teaser perfect for all ages. This is a beautiful 1-2 player puzzle that helps build problem solving skills and determination. 5. Magic Set (Ages 4+) – 20 different tricks to learn that help boost public speaking skills and confidence! 6. Potholder Loom (Ages 6+) – Patience is needed for this craft, but when children complete one the satisfaction of a job well done is priceless. 7. Broom Set (Ages 2+) – Children thrive on being helpers. The work builds health habits and makes them feel needed. 8. Perlexus Rookie (Ages 6+) – Multitasking, focus, determination; all skills that are needed to solve this puzzle. 9. Chess (Ages 4+) – This is the easy way to learn how to play chess. This classic strategy game teaching valuable planning and critical thinking skills. 10. Outdoor Fort Building Kit (Ages 5+) – Teach your children basic shelter building skills and independance with the help of these handy connectors. For more ideas and activities on teaching values to your children, please checkout my Values for Children Series! 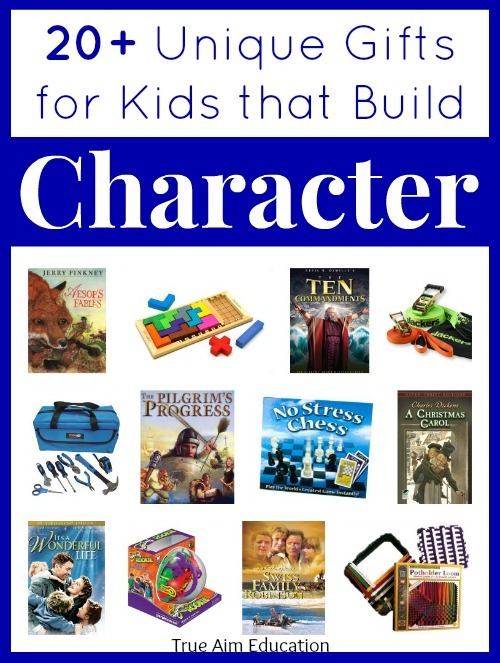 How do you build character in your children? Please leave a comment! For more ways to instill values in children, like me on Facebook or follow me on Pinterest! Thanks for your support. 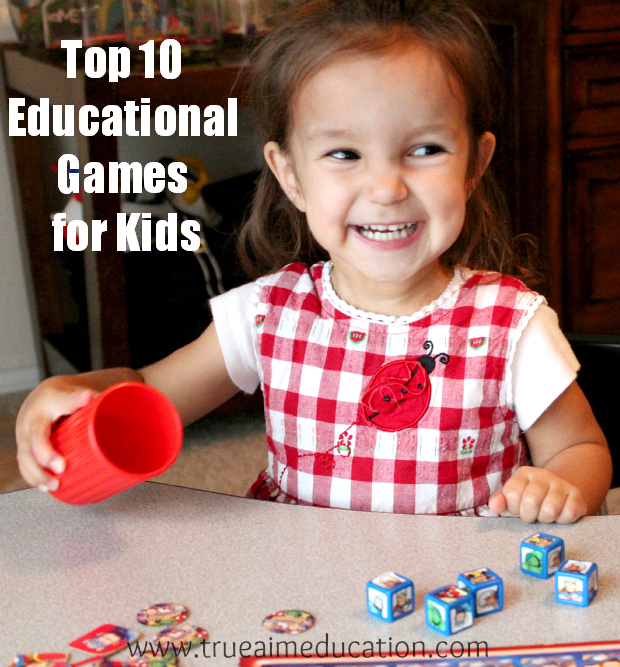 If you like games, here’s another great list! 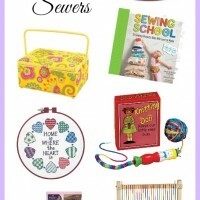 Check out these amazing gift guides for kids! Love your list, and thanks for sharing it with Afterschool. I am including it in the hostess round up next Monday. Shannon Schmid (@milkandcuddles) recently posted…Mommy Club Link Up- Special Surprise!